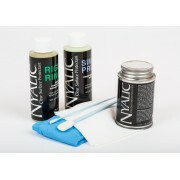 Keep your jewellery looking polished, prevent tarnish, skin discolouration and wear on the metal with our crystal clear, protective coating for silver, metal clay, bronze, brass, copper, nickel, plated metals, patinas, wire wrapped and filigree jewellery, aluminium and stainless steel. 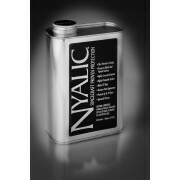 Nyalic® is a water-clear, ultra-thin polymeric resin that seals and protects silver, copper, br..
Nyalic® is a water-clear, ultra-thin polymeric resin that seals and protects silver, copper,.. 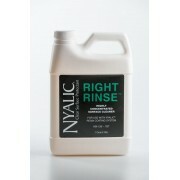 Right Rinse Quart is a concentrated (mix with water), free-rinsing cleaner designed for use in cl.. 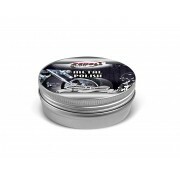 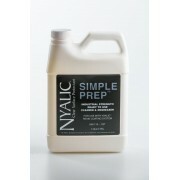 Simple Prep Quart is a concentrated (mix with water), degreasing cleaner designed for use in prep.. 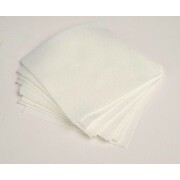 Individually wrapped and pre-saturated, lint-free, IPA cleaning wipes for surface preparation pri..
Good quality, non-linting 10x10cm applicator cloths, suitable for use with Nyalic clear surf..